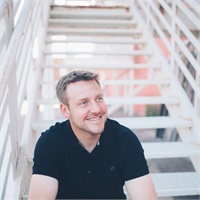 Kris Jerke | Ascend Financial, Inc. I'm so glad you've decided to check out Ascend for your financial services needs! After serving in the industry for over 15 years, I decided to shed the corporate world and branch out on my own to serve clients as I feel they'd like to be served. I have extensive experience working with businesses, farming operations and individuals in the banking, insurance and investment world and enjoy not only providing for their financial services needs but problem solving and getting to know each client on an individual basis. Every client is important to me, from the smallest to the largest. I'm a small town guy from Kaylor, SD where I grew up on the family farm my ancestors homesteaded back in the late 1800's. My beautiful wife, Brooke, and I reside in Sioux Falls along with our daughter Eleanor where we enjoy fulfilling our calling in our faith in Christ, enjoying the outdoors and running, and time with family. This business really is an extension of my calling in my faith, hence the name 'Ascend' and the cross represented on the logo. Here, we "serve one another, humbly in love" (Galatians 5:13). God bless and I hope that we get the opportunity to serve you!